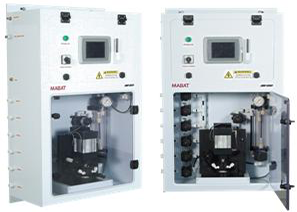 The SDI 2200 (Silt Density Index) is a full automatic, multi channels on line analyzers and monitoring systems. The SDI 2200 is a unique analyzer and designed for continuous, unattended operation in desalination and other water treatment plants. In general, the higher the SDI reading the more silt is in the water.